The head of Vedanta’s African operations says the company is aiming to double its copper production in 2018, and is on track to quadruple production in the coming years. 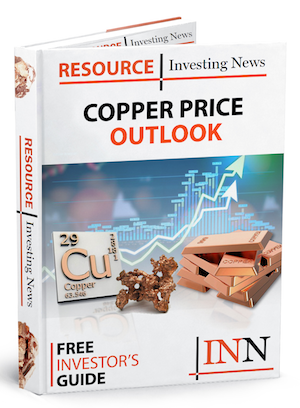 Vedanta Resources (LSE:VED) has big plans for its Zambian copper business, with the head of local operations saying the company wants to double production as soon as this year. Deshnee Naidoo, chief executive of the Indian company’s Zambian division, told Reuters that Vedanta is aiming high, with the goal of producing 200,000 tonnes of the red metal this financial year. “Last year we produced just under 100,000 tonnes and I want us to get to 200,000 tonnes this year,” said Naidoo. Vedanta is on track to produce up to 400,000 tonnes of copper annually in the next few years. Vedanta subsidiary Konkala Copper Mines (KCM) has open-pit and underground mines in the north of Zambia, and has seen significant investment since 2004. An increase to 400,000 tonnes per year would represent a massive jump for the company and its Zambian operations, which a decade ago were producing only 41,000 tonnes a year. In the last financial year, the mines produced 91,000 tonnes, down 3 percent on the year before. Production at KCM has fluctuated over the years, clocking in at 159,000 tonnes in the 2013 financial year. The US$1-billion investment announced in 2017 is clearly intended to go a long way in improving the operations’ productivity. The company said at the time that the funds would be going towards setting up a new copper smelter and cobalt refinery, and upgrading infrastructure across the mines controlled by KCM. Work on upgrading the Konkala Deep mining project is intended to exploit mineralization below the existing operations by sinking a new 1,500-meter mine shaft. In total, the US$1 billion is expected to create 7,000 jobs. In the interview with Reuters, Naidoo also said that the company has plans to spend US$300 million on a 300-megawatt coal-fired power plant in Zambia, presumably to power KCM’s energy-intensive operations. According to Naidoo, prefeasibility studies for the plant have commenced. She also provided an update on Vedanta’s big plans for its South African zinc operations in Northern Cape province, where the company is pondering a zinc-smelting refinery and an additional investment of between US$700 and US$800 million at its already expansive Gamsberg operations. 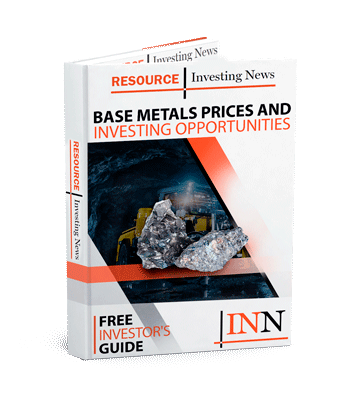 The company is now actively exploring an additional power plant there to support the projected 250,000-tonne zinc-mining and smelting facilities. Vedanta’s copper operations are spread across three countries and three continents — with mining in Zambia and Australia, and processing facilities in India, including the Sterlite smelter in Thoothukudi, which was recently shuttered. By its own reporting, Vedanta controls 33 percent of the copper market in India, which is one of the world’s top consumers. The Sterlite smelter alone accounted for 2 percent of global refined copper. Anil Agarwal, executive chairman of Vedanta and an Indian industrialist, has previously worked to dissuade companies from divesting from African mining operations, instead exposing the benefits of mining in Africa and selling to India, which soaks up a huge percentage of base metals.